Heating system manufacturer Viessman announced the launch of the UK’s first wifi-enabled boiler during the EcoBuild Exhibition in London. 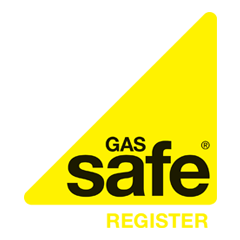 This news came just days before British Gas announced the launch of their BoilerIQ service which can also identify boiler problems and inform an engineer. Viessmans’ technology allows homeowners to control their boiler remotely via app, remind them when an annual service is due and monitor the boiler’s performance. If it does detect a fault, an engineer will automatically be informed with a diagnosis of the problem. From September 2016 all of Viessmann’s Vitodens 100 and 200 gas condensing boilers can be wifi enabled (a control accessory at an additional cost can be used to retrospectively enable wifi on some models installed prior to this). British Gas’ offering, Boiler IQ, is set to launch on March 21st. Not only will this device detect a problem and inform British Gas, it will also send you a text followed by a call to arrange an engineer visit to fix the fault. Boiler IQ will work with compatible Worcester Bosch boiler’s and will first become available to existing HomeCare customers.